Click HERE to get to the page where you log in. Log in with your assigned username and password that you should have received in an email from AppInConf. Forgot your password? No problem! Just click the Forgot Password? link on the login page to create a new one. Once logged in you will be directed to the Review section of the system, where you will see the list of abstracts submitted for your symposium. Choose an abstract from the list, read it and give your review with reference to the questions. Don’t forget to save your review! In case there is a conflict of interest, you can mark the abstract as such instead of giving a review. 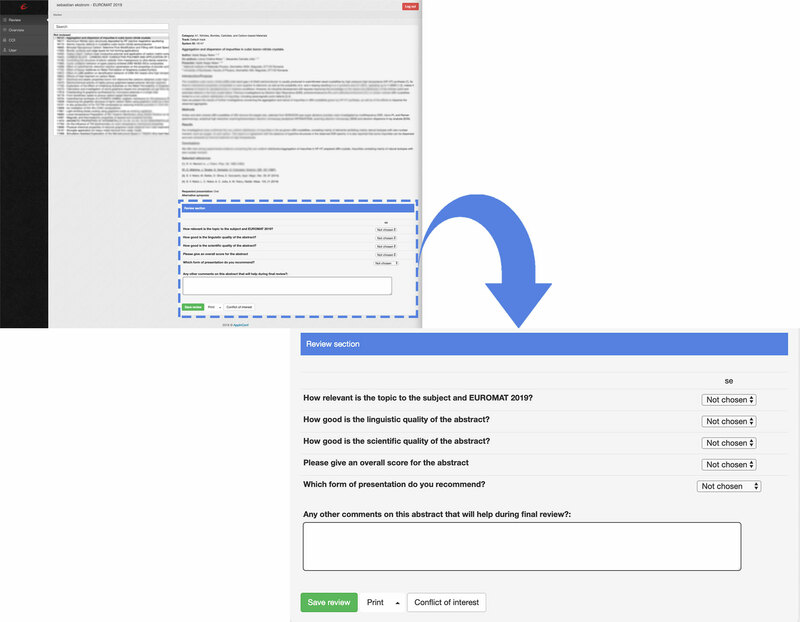 As responsible for a topic you can leave your own review for each paper, in the same way as the reviewers on the previous page. You shall decide whether or not the abstract should be accepted for your symposia. An abstract could also be moved to alternative symposia indicated by the author on the submission of the abstract. 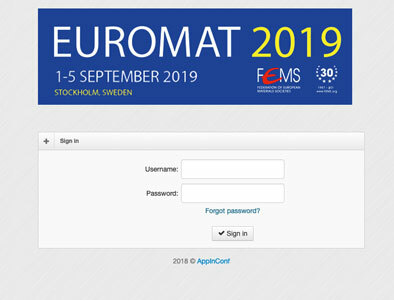 This is done by contacting abstracts.euromat2019@appinconf.com. I can't see what the other reviewers has given for assessment? The reviews are done individually to not influence each other. 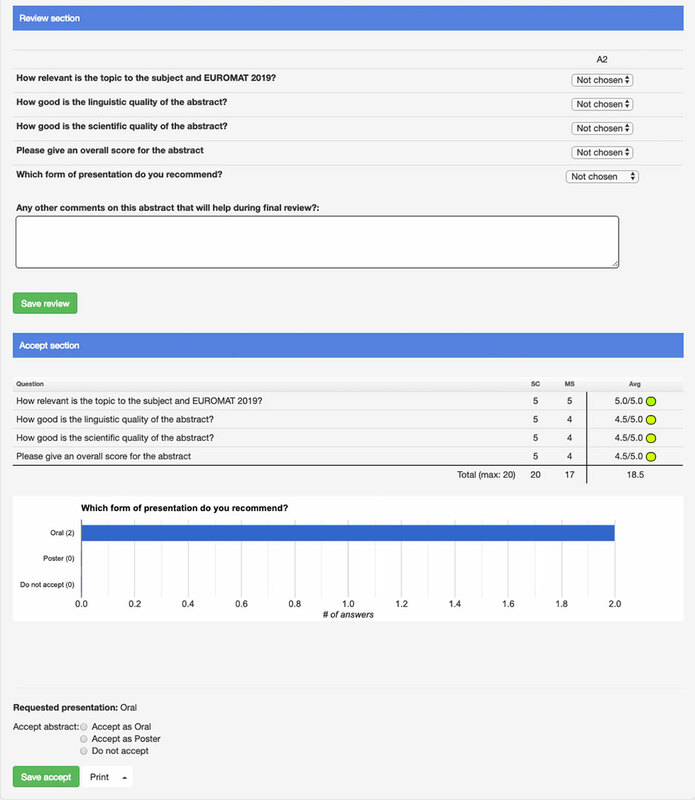 It’s only the role as Accepter, that can see all reviews and have the final say on the presentation form for each abstract. This means that the reviews by your colleagues work as a recommendation. How many abstracts can I accept to my network? You’ll find abstracts marked as conflict of interest under the left side menu item “COI”. There you can unmark abstracts that have been marked as conflict of interest.